It may be the tail end of summer, but the wonderful summer vegetables still have one last shot at being enjoyed before we transition to fall soups and stews! Sheet pan dinners are easy to put together and this Kielbasa and Summer Veggie Sheet Pan dinner couldn't be more easy or more tasty! 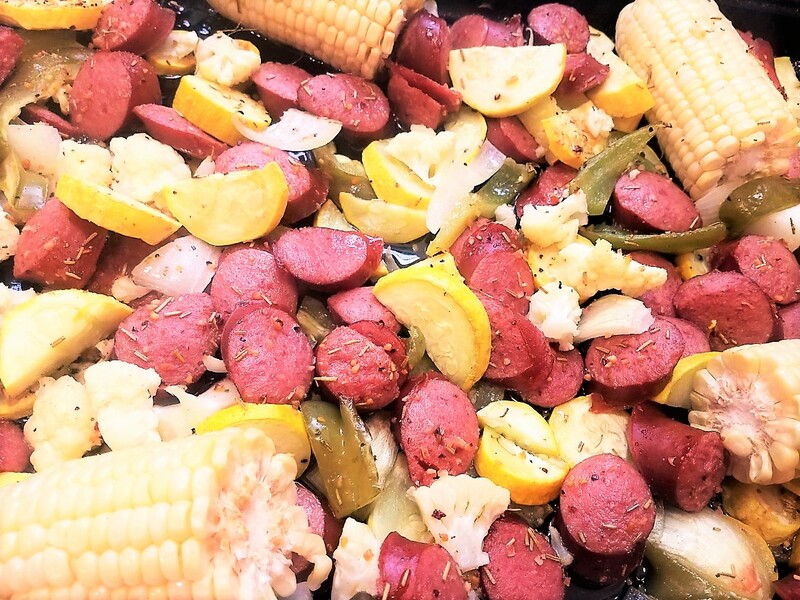 What a perfect end to summer, than this wonderful blend of summer farmers market vegetables and easy summer sausage! I love the simplicity of it! Feel free to play around with what you find at the Farmers Market or pick from your garden! Have sweet potatoes instead of regular? Perfect! Want to toss on a few strips of green or red pepper? No problem! 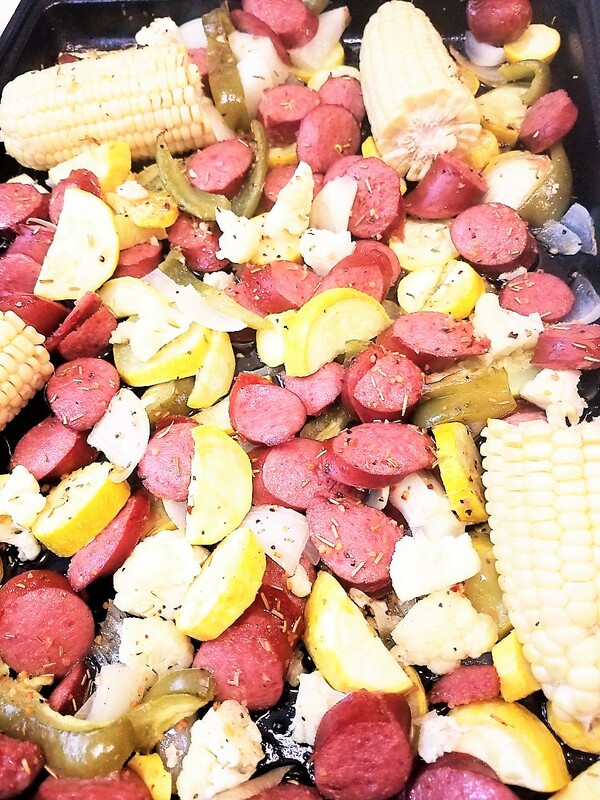 I love the flavors of smoky Kielbasa and squash with buttery corn and potatoes, but you can not go wrong with anything you put together! Jan't Tip: Try to dice, chop or slice your veggies, especially potatoes.So they cook evenly. 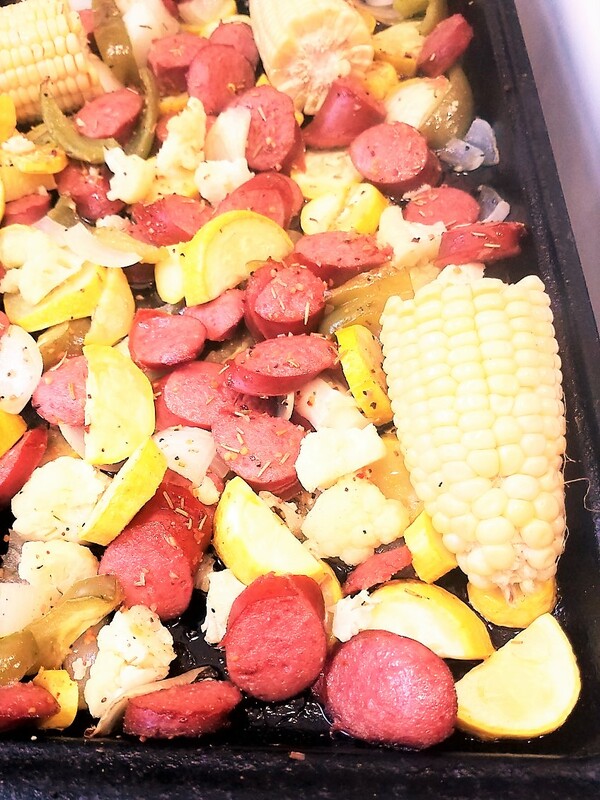 Heat oven to 4oo degrees.Line a rimmed baking sheet with foil and spray with cooking spray.arrange vegetables and sausage on the prepared sheet pan.Drizzle with olive oil and sprinkle with paprika, sea salt and seasoning salt. Stir to coat evenly.Bake for 20 min, or until potatoes are easily pierced with a fork and corn is soft. Sheet pan dinners are one of my favorites. So easy to make and so many great combinations. Not a lot of cleanup either! I am a late adopter of sheet pan suppers, but I love them! This is on my list now!